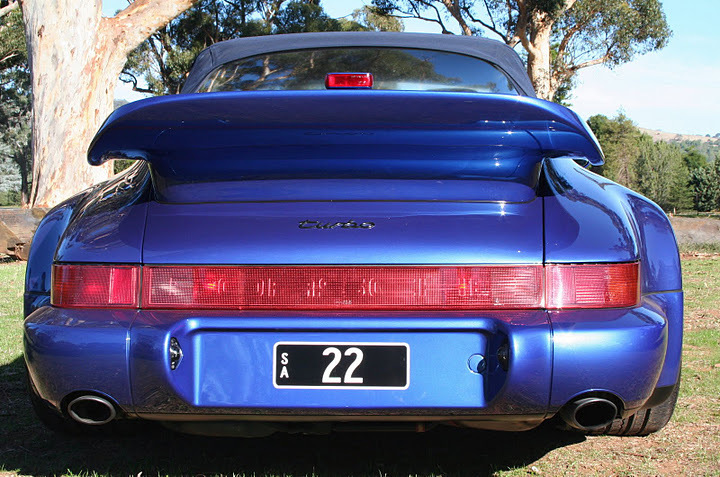 Lovers of the wide body had to wait a long time before a Porsche model with a turbo-look naturally aspirated engine was offered again at the end of production of the Carrera 3.2. 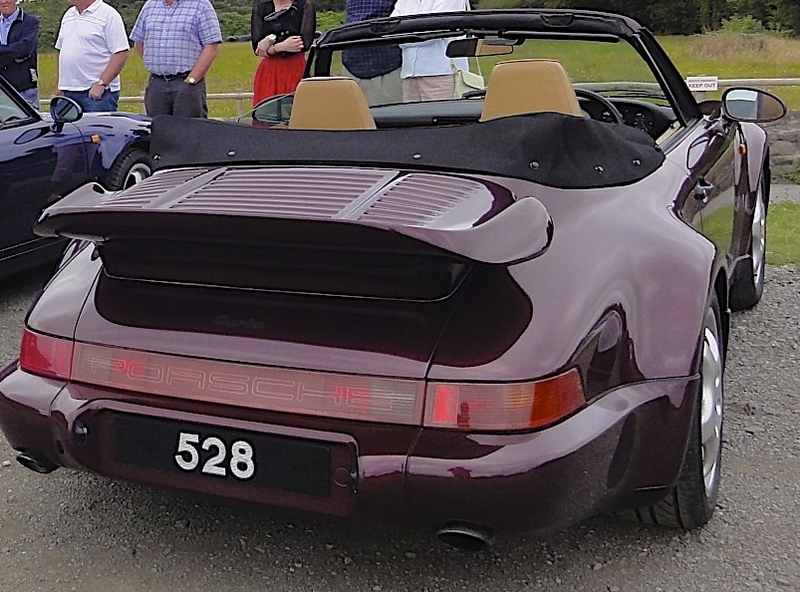 The spectacular 964 Carrera 2 Cabriolet Turbo-Look (named "America Roadster" for America) appeared in 1992, when the 964 series was already three years old. 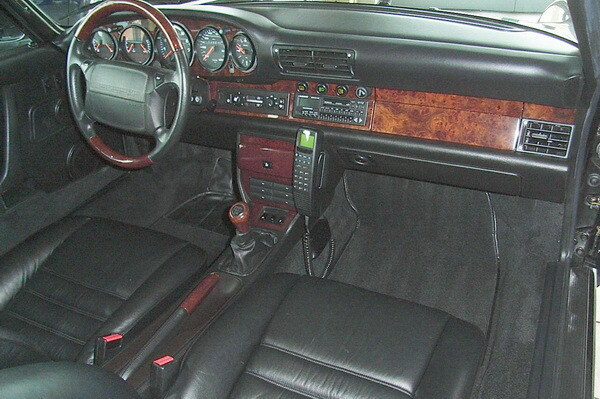 This independent model of the 964 series was built in the model year 1992 and 1993. contrary to the current state of knowledge, there are other cars from the model year 1994! The body shape of the 964 Turbo 3.3 without the huge rear spoiler turned the rather conservative 964 Cabriolet into a real eye-catcher. The line of the closed roof was finally one with the body line and no longer seemed to be in place. As with the Turbo-Look models of earlier years, the chassis and brake system of the top model 964 Turbo 3.3 were used again. 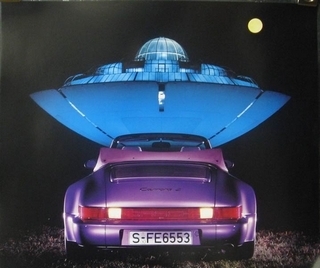 There are authentic 1532 Carrera 2 Cabriolet Turbo-Look (964650/ 964651) worldwide! Of these 433 were delivered with Tiptronic automatic transmission. Included in the total numbers are 6 cars that are delivered from the factory with the engine and the transmission of the 964 Turbo 3.3 as 964 Turbo Cabriolet. 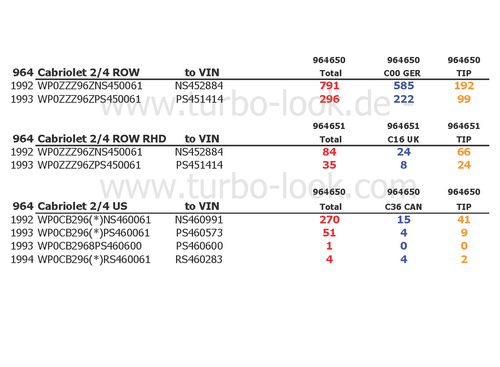 3 cars were delivered as LHD (964 650) for C00 - Germany. 2 cars for C16 - UK and 1 car for C23 - Australia were delivered as RHD (964 651)! 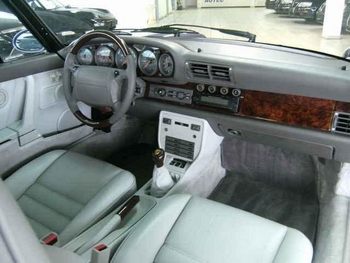 Included is also 1 Speedster Turbo-Look Prototype with manual gearbox. 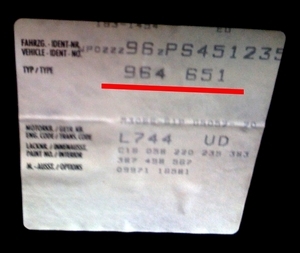 The internal type number to be found on the option sticker in the service booklet under the FIN is 964650. 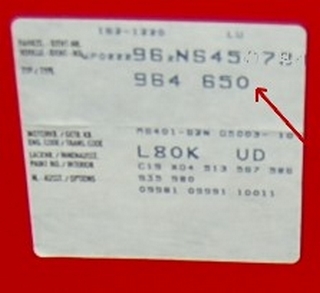 964651 for right-hand drive vehicles. 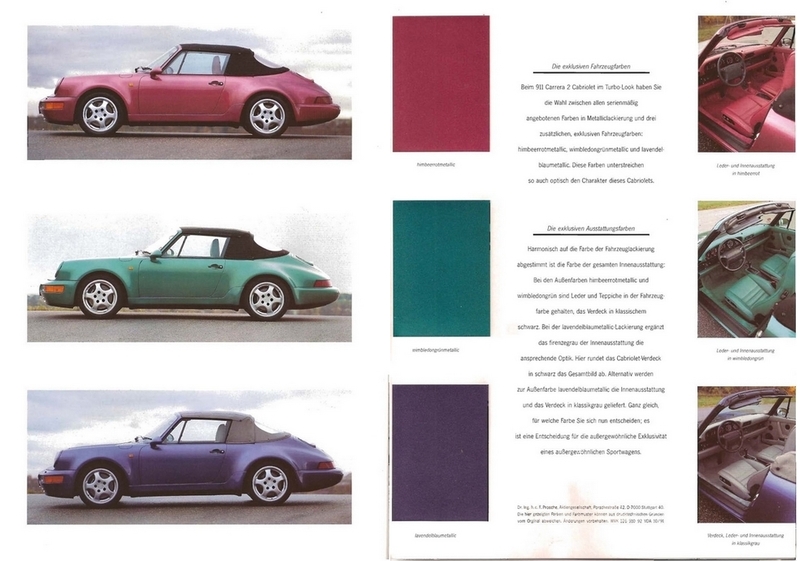 The previous research of this register has shown that in contrast to the common opinion that all Turbo-Look convertibles are shrill and colourful, the muted colours outweighed the colour choice of the first buyers. Black and blue - with their undertones, dominate the lists. But one can assume that many vehicles were also transferred to the exclusive department and individualized comprehensive. Many many more features and more individual codes were assigned, the listing would be beyond any scope. 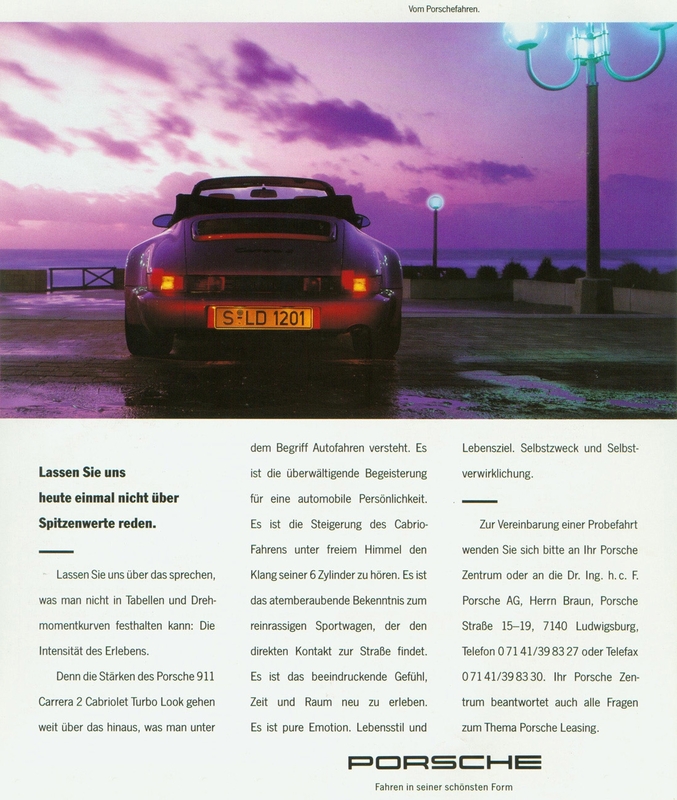 After the successful launch of the 964 Cabriolet Turbo-Look series in late summer 1991, the development department commissioned a first and only study of a Turbo-Look Speedster to prepare the 964 Speedster, which was to be launched in model year 1993. 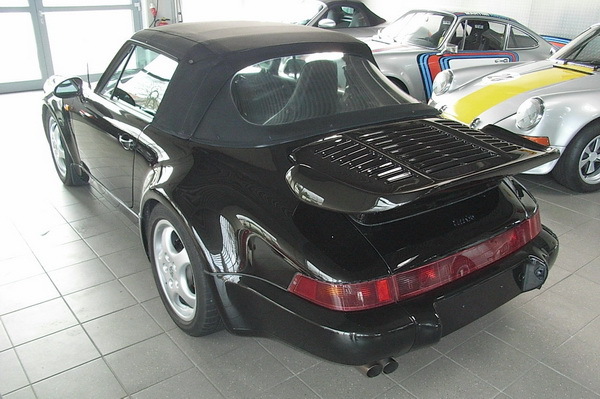 The basis was a 964 Cabriolet Turbo-Look (964 650). 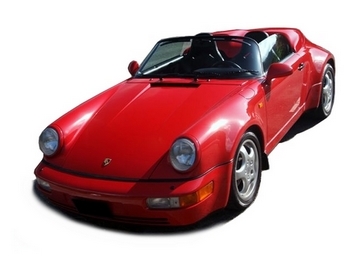 This prototype, like most of the 1989 Speedster before, was painted in guards red and was registered for the Porsche AG for the first time on December 9, 1991. 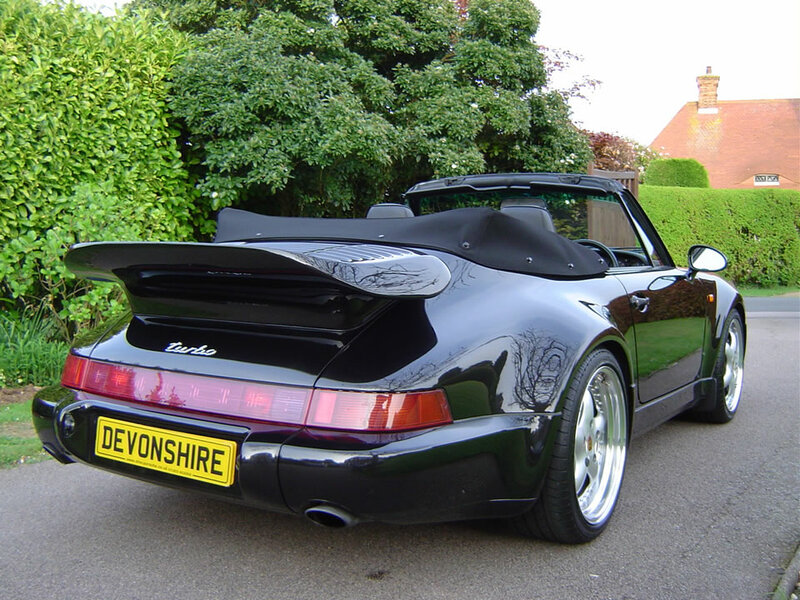 Inside, the rear seat system had been replaced by the storage compartment of the 1989 Speedster and fully electric seats covered with fabric with Porsche lettering had been fitted. The internal Z code of the special request department that was responsible for the conversion is: 14321 (964-SPEEDSTER PROTOTYPE - SEE ANNEX). Based on Carrera 2 Cabriolet Turbo-Look bodies (964650/964651), six Turbo Cabriolets based on the Z application "18581" were produced at Plant I at the end of the series after the 1993 factory holidays, probably at the special request of the customer. 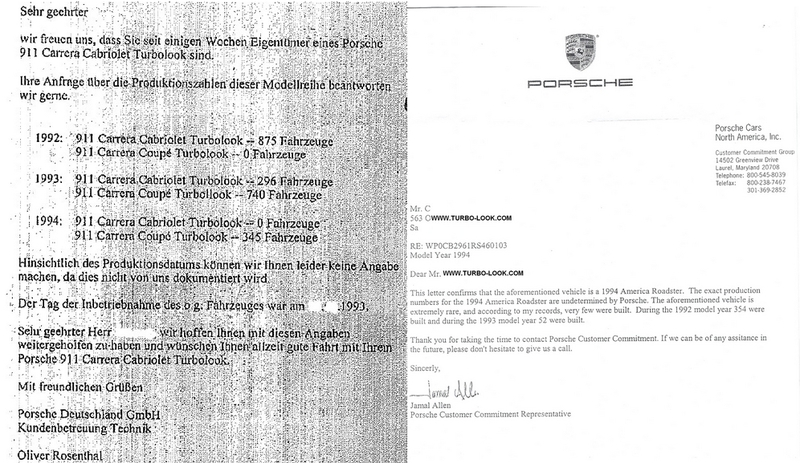 The engine and transmission of the 964 Turbo 3.3 and, still unverified, the Turbo 3.6 were used. Three cars were manufactured in right-hand drive version (RHD) - two for Great Britain and one for Australia and three more as left-hand drive (LHD) for the German market. 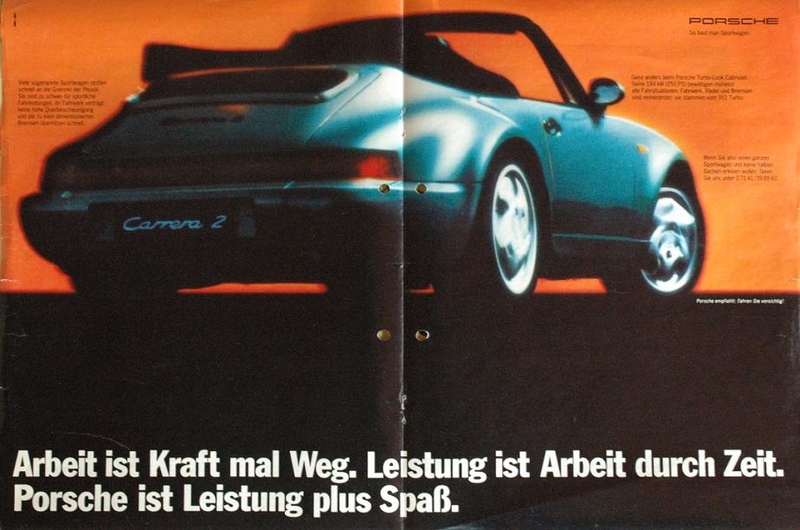 However, the first car for the German market is officially listed with the engine and transmission of the regular Carrera 2 Cabriolet Turbo-Look and has not yet been found in reality. This car is based on the very last ever build up RHD Turbo-Look chassis! You often read about remaining turbo bodies on which Turbo-Look vehicles were built. If you take a look at the data of the above cars, which used bodies from the absolute end of production, engines from e.g. 1991 and transmissions from pre-series and the last one was only produced in May 1994, you can imagine how this rumour may have originated, even if under reverse conditions. In technical terms, the 964 Carrera 2 Cabriolet Turbo-Look largely corresponds to the normal 964 Cabriolet. 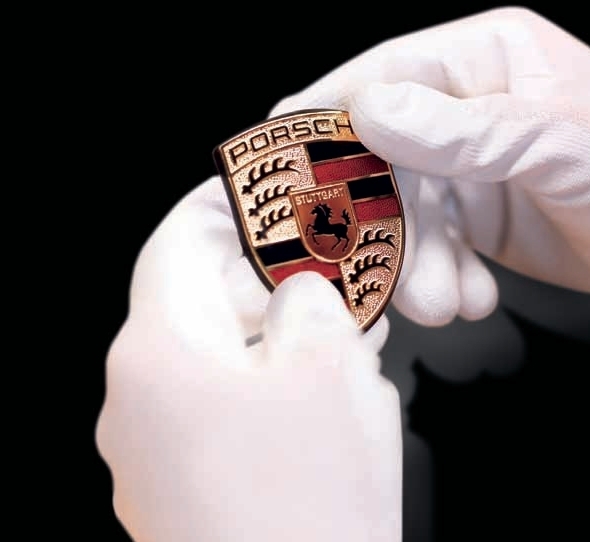 Driven by the 3.6 litre engine of the Carrera 2, it reaches 100 km/h in 5.5 sec and a top speed of 254 km/h according to factory specifications. Both transmission variants were available, 433 vehicles were delivered with Tiptronic automatic transmission. A surcharge of over DM 36,000 on the narrow convertible, which was already available from DM 132,450. What did buyers receive for their money except from the widened car body and the full equipment? As with the 911 Carrera 3.2, Porsche fitted the axles, some suspension components and brake system of the Turbo - in this case the 964770 Turbo 3.3. In addition to the Carrera RS, the 964 Cabriolet Turbo-Look is the only rear-wheel drive model with naturally aspirated engine equipped with the high-pressure hydraulic system for the brake, which was otherwise reserved only for 4-wheel vehicles (primarily for lock control, etc. ).